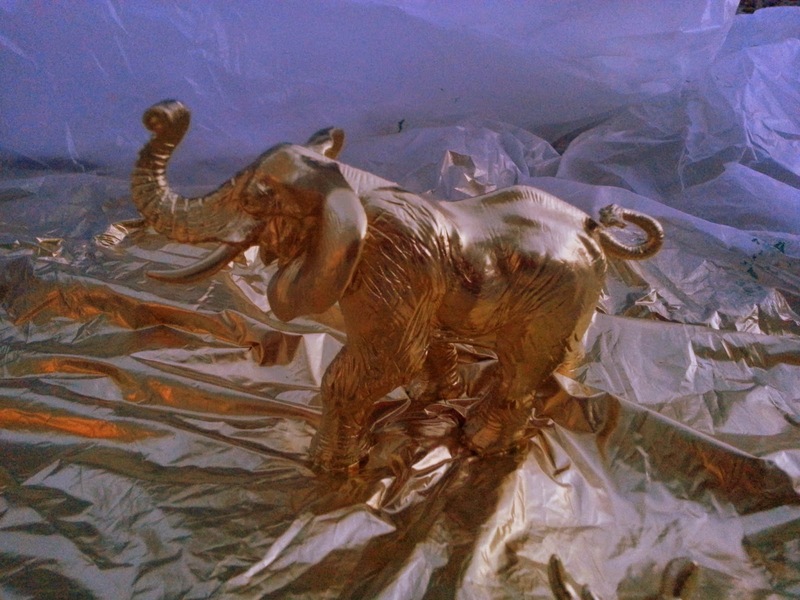 I am decorating a table for this weekend's Emerald Ball and I decided to try one of my favorite Pinterest ideas: spray painting plastic animals! 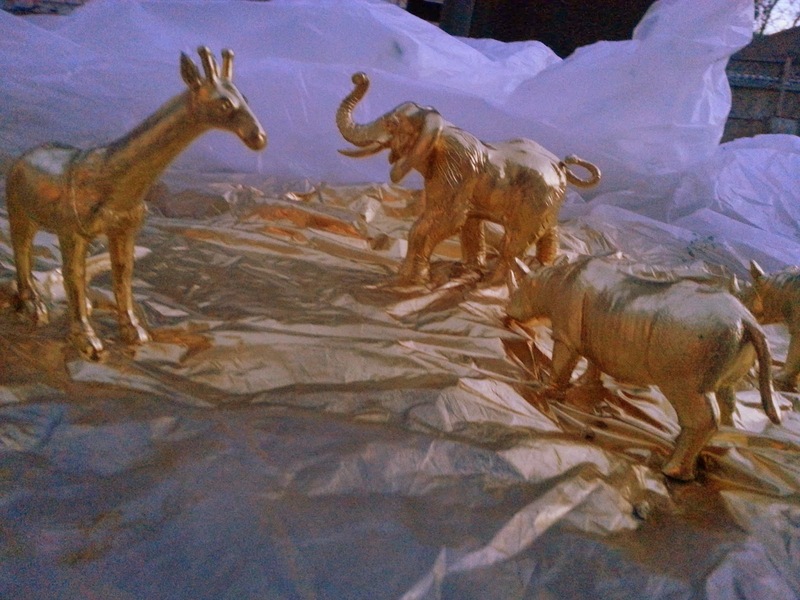 You all know how much fun I've had spraying painting things gold and that fun continued tonight. After work I ran by the Dollar Tree to find some plastic animals. Luckily, I found a few! Major score at only a $1 each. I unfortunately couldn't find the elephant at mine, but I ended up finding one at Michael's and was able to use a 40% off coupon to make it $4. 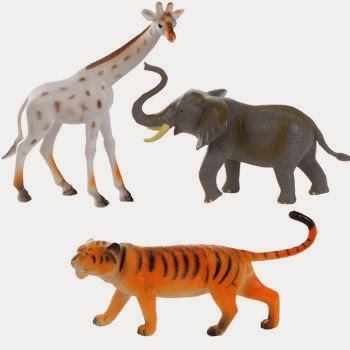 They have a really wide variety of plastic animals and figurines if you are needing something specific. 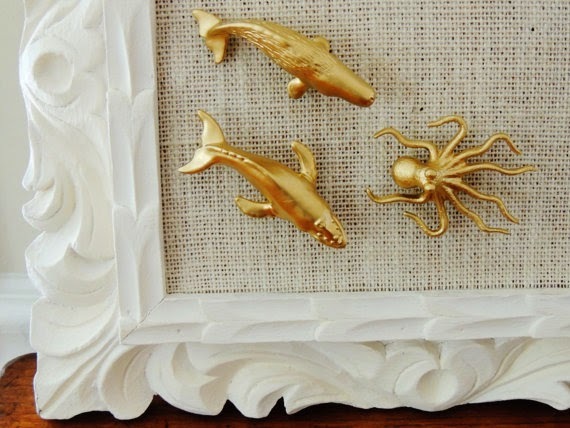 This project turns a plastic toy animal into a classy fun home accessory in only two minutes! 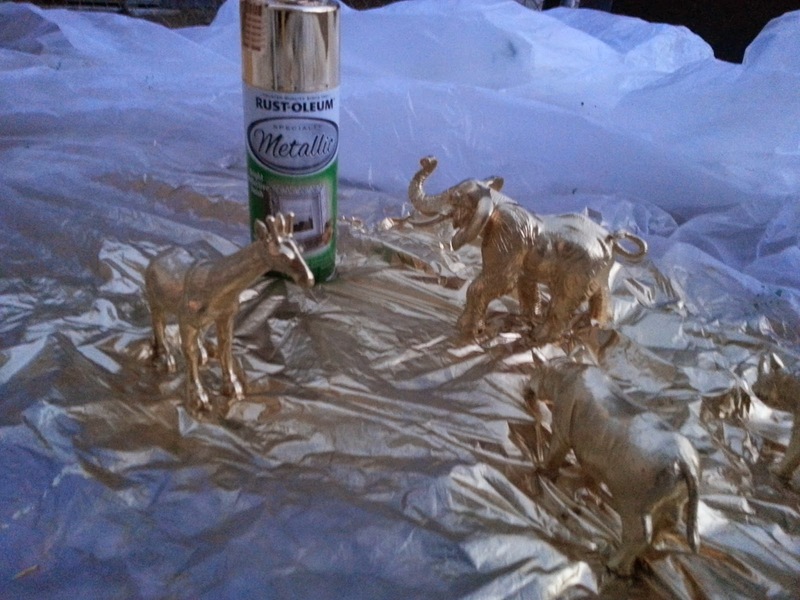 Rust-Oleum Metallic Gold is the best gold spray paint! I can't wait to use them on the table this weekend and I will post pictures of everything together. I'm then excited to use these beauties in my house - randomly set them around for fun! 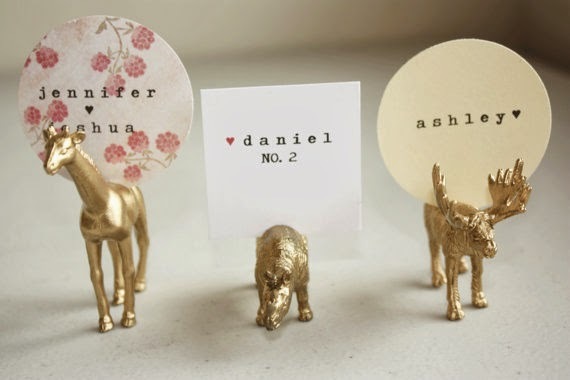 Make them into name place cards! Love the idea of making them pushpins! Now get out there and start spraying things gold!